sin | This Thing Called Life . . . Among our three grandsons visiting Christmas day, the 5-year old suffered a fully developed case of chicken pox. The disease had no regard for person, place, or time; no indication it was interrupting our celebration of the birthday of the King. The chicken pox boy endured long enough to unwrap his Christmas gifts before he collapsed on the couch for the remainder of the day. Occasionally a whimper erupted from his direction as he tried to resist the complete lethargy and generalized soreness that accompanied the disease. Our grandsons coined the phrase ”polka spots” for the skin lesions populating his body, including his lips, throat, inside his nostrils, and on the soles of his feet. The generalized outbreak of chicken pox, if blended together, had the potential to change his skin color. As I performed a close inspection of the polka spots on his back, it occurred to me that God could devise a method of registering our transgressions; a pox assigned for each sin. Over our lifetime, I wonder if we would have enough room on our bodies to register all of the pox? Thankfully, God does not choose any means of broadcasting to the world the mistakes we make. Sin is a private matter between God and the believer. Never does He make our indiscretions known to others. He has promised, “‘For I will forgive their wickedness and will remember their sins no more’” (Hebrews 8:12). If we are wronged by another person, we remember the incident to prevent similar hurt again, applying what we’ve learned, but not for the purpose of retaliation. God assures us, “‘I am he who blots out your transgressions, for my sake, and remembers them no more’” (Isaiah 43:25). Our Lord is not interested in flaunting our sins to the world. Once we repent of our sins and he redeems us, he destroys sins’ memory, never to be retrieved. Our God is patient and long-suffering, identified by justice and loving kindness. “‘I have swept away your sins like a cloud. I have scattered your offenses like the morning mist’” (Isaiah 44:22, NLT). The Son of God’s death on the cross paid all debts in full to redeem our sins. God is not interesting in brow-beating; His forgiveness is merciful and full of grace. Conversations and dealings with us are held in strictest confidence, never to be revealed. Our Lord is kind and compassionate. “O Lord, you are so good, so ready to forgive, so full of unfailing love for all who ask for your help” (Psalm 86:5, NLT). In some societies slaves wear collars to identify their status and their owners. As Christians, our uniqueness is displayed by our love of God and our fellow traveler. No physical marks are necessary. We exhibit an outward manifestation of inner peace and joy, secured by hope in an unfailing God. Job, who suffered untold physical and mental anguish, said, “‘Though he slay me, yet will I hope in Him’” (Job 13:15). “He was pierced for our transgressions. by his wounds we are healed” (Isaiah 53:5). Believers in Jesus Christ do not require a distinguishing physical mark. Rather than brand us as His followers, God expects us to minister for Him with our speech and actions. “Just as the body is dead, without breath, so also faith is dead without good works” (James 2:26, NLT). Our external actions reflect our heart’s allegiance. If we yell from the rooftops our love for God, we would be summarily labeled as wacko. But, if in our daily lives we consistently display the love and peace of God, our positive actions and benevolent outreach will impact many lives, including our own. People also listen to what we do not say. Non-verbal communication sometimes speaks louder than words. If we refuse to be controlled by anger, resentment, or bitterness, others take notice. Are we active listeners, conveying a sense of importance to others? “Everyone should be quick to listen, slow to speak and slow to become angry, because human anger does not produce the righteousness that God desires” (James 1:19). Our goal is to be a conspicuous Christian, to imitate Jesus and His actions. 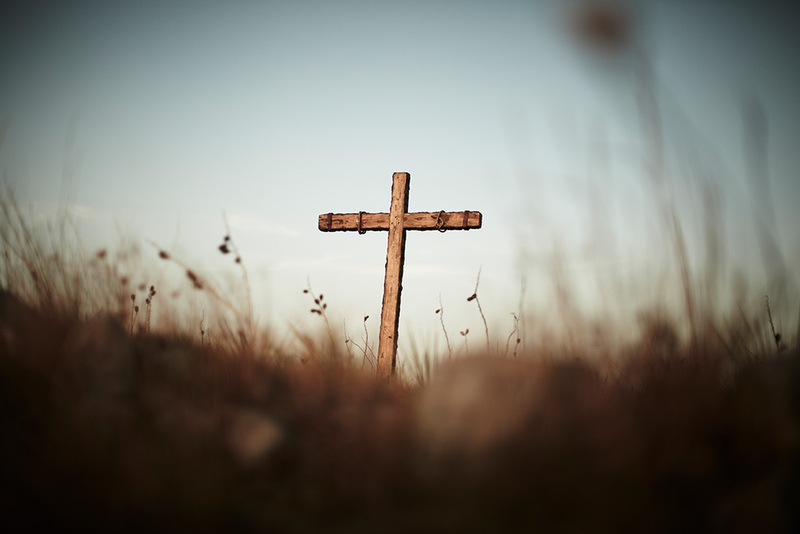 The slogan so popular with Christian teens years ago, “What Would Jesus Do?” (W.W. J. D.), is still an appropriate question for us to consider prior to decision-making. We are commanded, “Imitate God, therefore, in everything you do, because you are his dear children. Live a life with love, following the example of Christ. He loved us and offered himself as a sacrifice for us, a pleasing aroma to God” (​Eph. 5:1-2, NLT). Let us evaluate whether we exhibit joy and patience amidst the disappointments and losses in life. Are we able to cling to our faith in Jesus when all hope seems lost? Are we patient and long-suffering when awaiting answers from God? Others observe confidence, joy, and gentleness as correct responses to unpleasant situations, those features that cancel negative behavior in every scenario. Unlike the Nazi practice of tattooing Jewish prisoners in concentration camps or the fanciful idea of a chicken pox for each sin, as followers of Jesus Christ, promises are the only brands we will ever receive from our Lord. His words are believable, His love magnificent, and His gifts generous beyond our imagination. Polka spots represent a hurtful, temporary disease. Give God your sins and He will exchange them for an abundant life on earth and a home in heaven forever and ever! This is another excellent article from UnlockingTheBible.org. Pride is universal—something we all deal with, as ancient as Adam and as relevant as the morning news. Yet we don’t always see our own pride, which weaves like weeds around our lives. Oh, we see it in the obvious ways, but we can be blind to its deceptive, subversive way in our hearts. We know the disease, but we don’t recognize the symptoms. And that’s why we need the insight of our spiritual Great Physician to reveal symptoms of pride and rescue us from it. Pride is at the root of fear and anxiety, when we refuse to humbly rest in God’s sovereign care. Fear simultaneously reveals our lack of trust and our poisonous self-reliance. We fear because we don’t have faith in the Lord, we are enormously preoccupied with ourselves, and we don’t have control. When Peter stepped out on the stormy sea to come to Jesus, he was walking in humble faith. But when his gaze shifted to his circumstances and self-preservation, he trusted in himself, became afraid, and began to sink. It was Jesus who saved him, while admonishing him, “O you of little faith, why did you doubt?” (Matthew 14:31). Self-sacrifice stems from a humble heart. Entitlement is rooted in a prideful heart. The core of the gospel is that we are not entitled to anything, except just punishment for our sins (Romans 3:23; 6:23). Yet we deceive ourselves into thinking we’re better than we are, so we deserve better than we have. We think we deserve God’s mercy. We think we deserve people’s praise. We think we deserve love, success, comfort, accolades. We certainly don’t think we deserve suffering, heartbreak, or discipline. But when we do experience these things, we grow bitter, frustrated, and disturbed because we believe we’re entitled to more. We forget that apart from Jesus Christ we are sinners who deserve condemnation. The disciples wrestled with entitlement many times. On one occasion, they were arguing about who was the greatest. They selfishly thought they deserved honor and glory. But Jesus’ response to them was a rebuke: “Rather, let the greatest among you become as the youngest, and the leader as one who serves” (Luke 22:26).